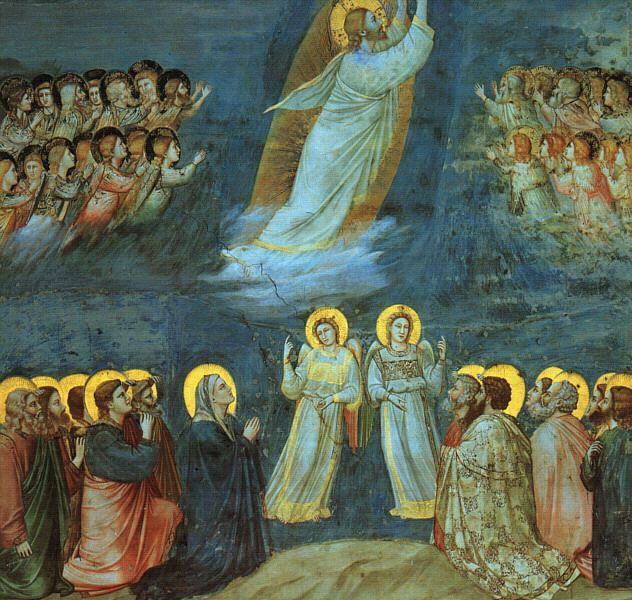 Tomorrow, May 10th, is Ascension Thursday, a holy day of obligation. Low Mass will be offered at 5:30 p.m.
“It is no exaggeration to say that the feasts of Annunciation and Christmas have their exact counterpart and, indeed, their fulfillment in the Ascension. Christ united himself to our nature in order to raise us up to God. The Word became flesh and made his home among men, but through the Ascension, “the head of our human race is at home, where only God is at home.” And he ascended, not to abandon the earth—much less his flesh—but to fill all things with himself” (Hieromonk Herman (Majkrzak)).